New Delhi : Five years have passed when Apple and Samsung had entered into legal battle due to design patent copyrights. The case has now taken a new twist with Apple taking the case for hearing to US Supreme Court. The Court will now hear arguments by Samsung who owes Apple for allegedly copying design patent of their ground breaking smartphone in the world. The ruling, which is expected to come within some months, is being closely monitored as the case will define the balance between technological innovation and protecting intellectual property. 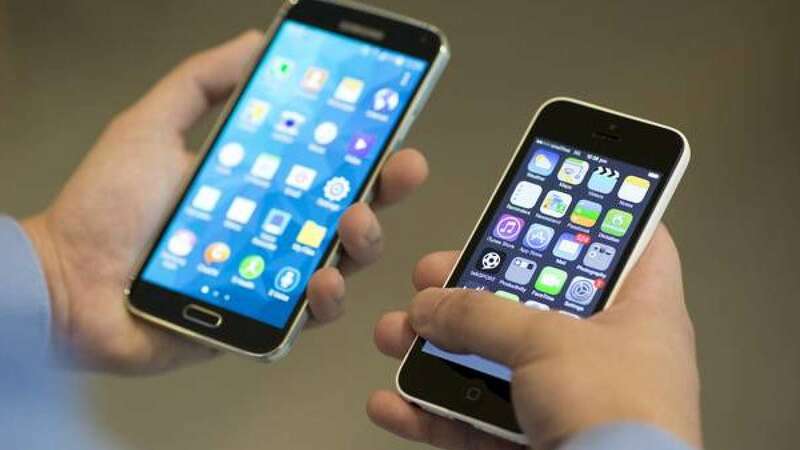 The US Court of Appeals for the Federal Circuit upheld a USD 400 million verdict -- part of a nearly billion-dollar award in Apple's favor later reduced to USD 548 million -- that found Samsung had copied the iPhone's distinctive front screen and graphical touchscreen user interface. California based Apple had made patent of the iPhone's distinctive front screen and graphical touchscreen user interface with US design patents that concern the way items look. Samsung is challenging the verdict, disputing how damages are calculated in design patent cases. Such awards are currently determined by devices' "total profit," in accordance with a statute first adopted in 1887 and re-adopted in 1952. Samsung argues it should be held liable only for some portion of the profit tied to patented design aspects, given the many innovative components that go into the making of smartphones. Apple interprets the statute more narrowly, saying it is entitled to all profits from Samsung's phones. It all began in 2007, when Apple filed a suite of 4 design patents covering the basic shape of the iPhone. Few months later, the company sued Samsung alleging in a 38-page federal complaint on April 15, 2011 in the United States District Court for the Northern District of California that several of Samsung's Android phones and tablets, including the Nexus S, Epic 4G, Galaxy S 4G, and the Samsung Galaxy Tab, infringed on Apple’s intellectual property: its patents, trademarks, user interface and style.